It seems like every couple of years, I will change the CMS that is used for my various websites. This has resulted in some messy, messy transitions. As it is right now, phoneboy.com and phoneboy.org are both using Jekyll, one hosted on a VM somewhere, the other hosted on GitHub. For what I am doing on these sites, I believe this is the right tool. This site, phoneboy.info, has been on 10Centuries the last few years (after being hosted on Posterous, Posthaven, and Wordpress). I just had it migrated to version 4 of the platform, which itself is still "beta." While the frontend is lacking at this moment, which will hopefully be fixed soon, the backend is much more usable for me, which means I might actually write a post once in a while. Are Computers Killing Our Culture? Whether your desire to have a clean, perfect document is pathological or simply a result of the way you want to present yourself to the world, we are eliminating some of our finest work when we edit ourselves online, on the computer screen, in our writing programs. For me, at least, the issue is that my thoughts can come and go so quickly that I can't even get them out on the page (virtual or otherwise) before they disappear into the ether. It's even worse when I try to write stuff out longhand, which is only legible to myself, and even then, only barely. On the other hand, I know I can obsess over my words. Even a 140 character tweet can sometimes take an eternity for me to write. And I know the minute I hit the post button, the information is out there, in the ether, indexed, and searchable nearly instantaneously. Even if I decide to delete the post, someone can screenshot it and reshare it without my knowledge or consent. Further, I have no control over it. At least with a piece of paper, you can destroy your own work. Obviously it's a bit harder once that piece of paper is part of a larger book that's printed and distributed to a bunch of people, but it's still theoretically possible. Meanwhile, that searchable, infinitely copyable aspect of computers also makes it possible for culture to spread farther and wider than it could ever do in entirely physical mediums. That doesn’t sound like killing culture to me, but it’s definitely changing it. I've seen many people on LinkedIn complain about how it's starting to look like Facebook. In many ways, it is, with the sharing of articles (some of which aren't necessarily about "work"), pictures (some are memes that have nothing to do with work), politics, and even deeply personal stuff. I've also heard that people use LinkedIn to "hook up" with people in non-professional settings (if you catch my meaning). I don't know about the rest of you, but the lines between my work life and the rest of my life are pretty blurry. Maybe it has something to do with working out of my house, which I've done for the last 18 years. Maybe it has to do with the fact I spend a fair amount of time on the road, including some long international flights. Maybe I don't have a ton of friends outside of those I've met through work or other professional networking. The idea that "work" life and your "personal" life are somehow separate, unconnected things has never really resonated with me. I suspect a lot of technology professionals feel the same way, at least based on how they are using social media of all kinds. Obviously, the folks in charge at LinkedIn must have agreed, and thus added Facebook-like functionality. It's one thing for LinkedIn to add Facebook-like functionality to their product. It's another thing for people to actually use it that way, which they clearly are. It's simply a sign of the times. I long since learned that social media, in all its forms, can make or break your professional career. A large part of why Nokia was willing to hire me in 1999 even though I wanted to work remotely was because of my online reputation and the corpus of work I had posted on phoneboy.com. While I certainly post and share my share of silly, personal, and/or political things, I keep it professional on LinkedIn. This means sharing stuff that is related to my profession, personal development, or dealing with something in relation to work, kind of like this article. It doesn't mean sharing memes, going off on political rants, or pictures of my kids. Bottom line: The Facebookification of LinkedIn is simply a reflection of modern life, at least for those of us who use LinkedIn. It's not entirely a bad thing. Incidentally, a lot of what the RIAA would term "music piracy" was facilitated by these devices, as this Bow Wow Wow song suggests. 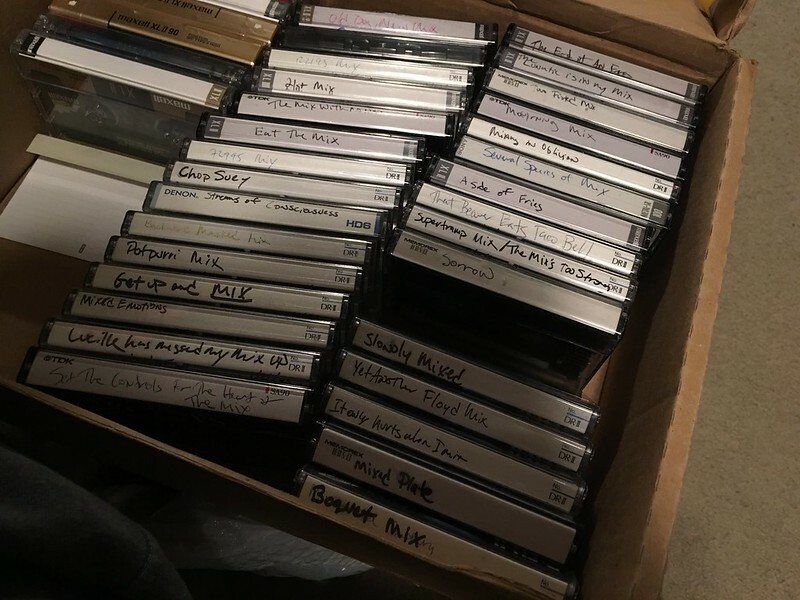 The cassettes were 30, 60, 90, or even 120 minutes in length. However, a cassette was two sided, which meant that each side of the cassette was half that length. 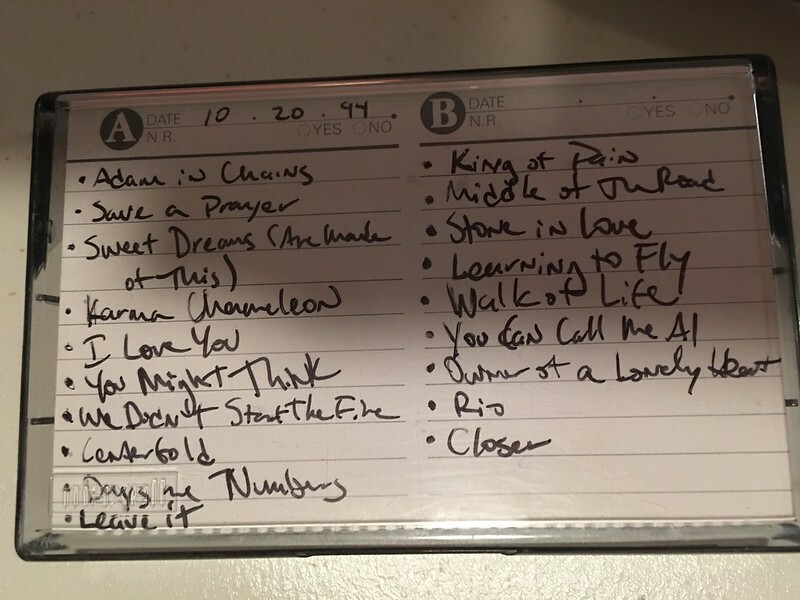 And since the tapes were linear, if you didn't want blank spots at the end of the side, you had to have some short songs that went with just about everything (or get really lucky). And since you had only a rough estimate of how much time you had left, it took a little trial and error to make it all work. Maybe it's because the result of your hardwork is a physical object rather than just bits in the computer. There's something to be said for that. I'm a few weeks away from doing a presentation at Check Point's booth for RSA Conference in San Francisco. Granted, it's one of those "carnival barker" type presentations that vendors give in their booths that are meant to last no more than 10 minutes, but it's been a while since I've created and done a formal presentation. It's also something I plan on doing more in 2016 (perhaps not in this setting), which means I need to sharpen my presentation skills. If you have a point to make, the best way to make it impactful is to use a story to illustrate. I've always viewed presentations—good ones at least—as good stories. It's called connecting with your audience. Trust me, I sat through more than my share of boring presentations and I don't want to subject anyone to death by PowerPoint. It's why when I talk to customers, I rarely use PowerPoint. I prefer conversations. And telling stories. This is all about body language. There's nothing worse than watching some one up on stage that's stiff and monotone. Be animated, but not too animated, because that is problematic too. I feel I'm ok at this, or at least I've never heard anyone tell me I need to improve here. Surely, I can, though. Each of us has a natural pace of speaking. Some of us are faster, some are slower. There is no right or wrong speed, however as a general rule, you can slow your speaking rate by about 50% and still sound normal. This is something I definitely need to work on. I naturally talk very fast, mostly in an effort to keep up with my even faster moving brain. That doesn't work when you're up on stage. Good speakers moderate various elements of their speech while presenting to maximize the effect of their message. We'll see how well I can apply these tips for my booth presentation at RSA in San Francisco, which is happening 28 Feb - 4 March 2016 at Moscone Center in San Francisco. Stop by the South Expo Hall, Booth #S1507,if you want to make an in-person connection! As a person with diabetes (T1D), my primary goal is to keep my blood sugar in a healthy range (for me that is 65-140 mg/dl). There is only one thing that consistently causes me to go above that range. Now, I know there are many other factors that can cause blood sugar to rise: stress, illness, allergies, exercise, lack of sleep, menstruation … the list goes on. But let’s focus on the one overwhelmingly clear and incontrovertible variable that causes blood sugars to rise. It’s carbs — the one variable we can actually control. I have Type 2 Diabetes (T2D), and the challenge is similar for me. Well except that I'm not injecting insulin and haven't had a low blood sugar event (yet). The good news for me is that I'm already very familiar with low-carb living, having done a bout of Atkins Diet more than a decade ago. Now that I know I have T2D, I'm wishing I never got back on the carb train. And, sadly, I haven't gone completely back on the low-carb train. Overall, I consume far less carbs than I used to and when I do, I try to stick to the healthier varieties of carbs. You know, the ones that include a lot of fiber to counterbalance it. That said I do occasionally have stuff I shouldn't. Especially during the holidays when there are so many tasty treats to eat that aren't normally around. And when I travel, avoiding carbs is damn near impossible. Especially when I go to a foreign country. Or have to spend 14 hours on an airplane. My daily reminder of how many carbs I ate: my glucometer. If I ate too many, my blood glucose will be higher. Fortunately, I have gained a bit more self-control than I used to have. When the numbers are higher than usual, they generally aren't that much higher—my highest reading over the last 3 months was 139 mg/dL, with my average being 107. That doesn't change the fact carbs are evil. On a spring day in 2012, I shut down my MacBook Air for the last time. From then on, my primary computing environment — at least on a laptop computer — was GNU/Linux. I was abandoning, as much as possible, the proprietary, control-freakish environments that Apple and Microsoft have increasingly foisted on users of personal computers. Almost four years later, here I am, writing this piece on a laptop computer running the Linux* operating system and LibreOffice Writer, not on a Mac or Windows machine using Microsoft Word. All is well. It's worth noting that the author of the above post is Dan Gillmor. He was a long-time journalist for several newspapers (including the San Jose Mercury News in the mid-to-late 1990s). He is currently teaching digital media literacy and promoting entrepreneurship at Arizona State University’s Walter Cronkite School of Journalism and Mass Communication. In other words, he's not a prototypical geek. That said, he was one of the first journalists to blog for the Merc, so he clearly has some affinity for the technology. But it's not someone I would expect to use Linux. What do I use? I actually regularly use Windows, Mac, and Linux. There are benefits and downsides to all three. I’m definitely aware of the dangers of centralization that Microsoft and Apple are pushing and like that Linux provides a reasonable alternative for some use cases. For most people, Linux has a “this tall to ride” problem that I doubt will ever be solved. Given there is so much mainstream support for Windows and Mac, people can’t just go buy random computer accessories at the store and expect it to just work. Not that Windows and Mac just work, but for regular folks, they largely do or they can get mainstream support when it doesn’t. Obviously, if you have a proclivity for tinkering and don’t mind getting under hood and tinkering, Linux is a far better choice. Those of us like that are in the minority. Also, anyone who has to exchange data with other people using Microsoft Office (very common in corporate environments) or have to deal with specific security tools may find it very difficult to exist in a Linux-only world when everyone else is using Windows (generally) or Mac (occasionally).One area where Linux is far superior to Windows or Mac is support for older hardware. I have 7+ year old machines happily running Linux without issue, other than being a little slow. Bottom line: I’m glad Linux is an option and for the right people in the right situations, it’s the right choice. That said, I don’t see the rest of the world getting onboard the Linux train anytime soon. It’s not like having a job you hate makes you appreciate your free time more (Very Optimistic Tumblr Teen Voice The bad makes you appreciate the good!) Having a job that eats away at your very core actually sullies your free time more. You realize how little of it you do have and often forsake it. You dread having to go back. It poisons your psyche. I was miserable from 8:30 am to 6:30 pm five days a week, and when I came home the transition from miserable to happy was slow. Because work is always going to get hard. And then get better. That’s the cycle of everyone’s professional careers, even the biggest and baddest billionaires on planet earth. You don’t always enjoy your work, and you don’t always want to do it. If your work is something you love, you can even wind up completely losing your passion and feeling absolutely zero interest in it. No one is happy with their profession all the time, whether it is one they like or not. I've certainly gone through the highs and lows in my 20 year career. Worse: I went through a low in the middle of writing my second book on Check Point FireWall-1. The good news is, at that time, I was in a spot where I could work on different things for Nokia—things less directly related to the Check Point products I was supporting. It effectively gave me a break from the things that I formerly liked and allowed me to explore some other things while remaining gainfully employed for the same company. I also took on some side projects that went through their own love/hate cycles. When the time came to come back into the Check Point fold in 2009 as part of their acquisition of Nokia's Security Appliance business unit, I was ready and attacked it with the same fervor that I did many years before. The timing of that change was fortuitous because I had reached that point yet again where a change of some sort was needed. While every job—even one you like—is going to have highs and lows, you may reach a point where the bad moments start outnumbering the good. I have learned to recognize and acknowledge when there's a noticeable increase in the bad moments—well before they become overwhelming. I take action before I lose my passion for what I'm doing, which for me has meant mostly changing what I do for a given employer, not changing employers. That said, changing employers may be necessary in some cases. Georg Wilhelm Friedrich Hegel once said "Nothing great in the world has ever been accomplished without passion." As I plan on doing great things, I don't want to lose my passion. The problem with these people is not that they want attention, but that they’re unwilling or unable to trade fairly for it. For the longest time, society has had a pretty straightforward system of rewards: you give us something of value, and we’ll heap praise on you. It’s a fair trade, and one that most social media gurus (sorry, “omnichannel growth evangelists”) are unwilling to make. Sadly, click-bait, plagiarism, and content circle jerks are as old as the media itself. Ok, click-bait is an Internet phenomenon but the idea of writing a sensationalist headline so that people will read your piece that they probably stole from someone else is nothing new. The sad reality is, if you can’t fill someone’s need, you’re of no use to them. The small amount of reputation I have gained over the years with a certain group of people is largely the result of being able to fulfill that group’s needs. It may not gather as much attention as the latest social media expert who has figured out yet another way to spin the same old stories for yet more likes, reposts, or whatever, but the attention I get has been sustained far longer than some of those so-called “social media experts” have even been alive. We’re all guilty of wanting recognition and, at times, wanting it so badly that we’ll post or repost basically anything. But that doesn’t make it a healthy strategy. Yes, I finally did my geek duty and saw Star Wars: The Force Awakens. I'm not going to spoil it for you, except to say that if you liked the original movies (particularly A New Hope and The Empire Strikes Back, i.e. Episodes IV and V), then you'll probably like this movie as they borrow a lot of elements from these two movies. That said, I can't help but feel not excited by this movie. Maybe because I realize that Disney is behind it and I know they're going to milk this Star Wars cow for all she's worth in terms of merchandising, native advertising on Disney-owned networks, and who knows what else. Maybe because it felt like a modern reimaging of the original trilogy of Star Wars movies (which is probably true). That isn't to say I don't think they did a good job on the movie. Compared to the prequels (two of which I didn't even bother to see), it was good. But I just don't feel the excitement or passion that many others are expressing. Maybe I'm just getting old and cynical.